Wayne Osborne started his ITEC Sports Massage (including Massage) course back in 2016. After completing that course he went on to successfully complete the Sports Massage Level 4 course. In a recent interview with our Courses Director, Rishi Loatey, Wayne explains how the courses have helped him increase the revenue of his Personal Training business and also helped his reputation soar in his local area. In short Wayne describes it as “quite remarkable”. Wayne also shares his advice with students who may be considering studying sports massage. Wayne’s interest in sports led him to choose a career as a Personal Trainer. Looking for a way to better help his PT clients and develop them Wayne considered developing his own skills to offer different therapies. By chance one of his clients who had moved into this field after being a nurse recommended Richdales to him. She had personally studied at Richdales and highly recommended that Wayne consider taking a look at the Institute. Wayne trusted her judgement and decided that Richdales offered the right training environment for him. 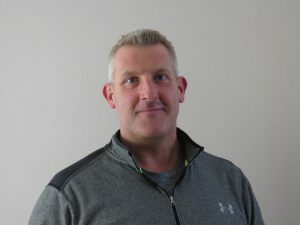 He started by studying the ITEC QCF Diploma in Sports Massage (including ITEC QCF Diploma in Massage) and after completing this course successfully he completed the ITEC Certificate in Sports Massage Level 4. Sharing his advice with others considering pursuing these courses and wanting to be successful, Wayne says that time management is key as you have to find a course that fits into your personal needs and constraints. Wayne himself is quite busy during the day and it was important to him to find a course that would allow him to learn over a period of time and also be able to break down the information to be learnt into chunks. For Wayne, doing an intensive course, in say a week, and then trying an exam wouldn’t have worked. Wayne recommends that students break down the course material/topics into small chunks and work their way through the content gradually. This enables you to focus on areas that you may be weaker in. To support his ‘little but often’ learning style, Wayne developed cue cards. Throughout the day he would pick up a cue card and focus on studying that. This enabled him to fit in half an hour study two to three times a day. Wayne believes that studying the Level 4 Sports Massage course provides students with a lot more in-depth knowledge. It has personally given him more confidence in his knowledge and ability to assess clients. In particular it has given him a lot more skills and techniques to use to assess posture and assess the condition of the skin and musculature of his clients. Wayne’s clients are now benefiting from his new skills. Not only do they have confidence in his ability to improve their health by improving their cardiovascular fitness, the way they look and the way they feel about themselves, they also know he is able to identify any of the postural things that they may have such as tightness in the neck, tightness in the shoulders legs and those sort of things and that he can help them with these issues too. Wayne is now able to combine and integrate his massage skills into PT sessions as and when necessary. His Sports Massage skills not only enable him to help treat his PT clients it also enables him to attract massage clients. In addition, he has been able to link with local physiotherapists and osteopaths who are aware of his skills and abilities and he is now receiving referrals from them. His reputation within the area is growing all the time as referrers call him to seek his services to help continue the care of their patients. Wayne’s new skills have increased his business’s revenue streams and his client base. We wish Wayne all the success with his business in the future. This entry was posted in London Graduates and tagged ITEC Sports Massage Level 3, ITEC Sports Massage Level 4, richdales institute, Wayne Osborne. Bookmark the permalink.